From our clothes to the energy powering our homes, there’s no denying that there’s a growing trend for sustainability. And more and more people are applying eco-friendly approaches when it comes to building their house. There are numerous benefits to going green. First and foremost, it has a positive impact on the environment. As opposed to traditional building methods, eco houses use more environmentally friendly materials, meaning they have reduced carbon footprints during the build and after. Being more energy efficient also means you will be able to have lower fuel bills and a healthier living space. What’s more, an eco-friendly home is incredibly attractive to house buyers wanting to reap the rewards without having to build their own house, so building yours with sustainability in mind could pay off if you were to sell it later down the line. You need to consider the structure of your building from the outset, and not just think about the fancy renewable technology you’ll add on at the end. A fabric-first approach to building your dream home will enable you to maximise the performance of the components and materials of external structures, resulting in a truly eco-friendly building. Prefabricated systems provide a reliable method for achieving an airtight envelope for the building, with large components being meticulously made in a factory. Many of these modular systems have a timber core, but there are other options, each providing different benefits. Dense materials, such as concrete and brick, absorb and store heat during the day, and slowly release it at night to ensure your home stays a comfortable temperature. The best prefabricated builds can involve cladding a timber build with brick or blockwork, to ensure you reap the benefits of each building material. Good insulation boosts the thermal efficiency of your house, reducing your energy usage (and bills), so is probably the most important element of a ‘green’ building. But the materials you use to insulate can also be eco-friendly. Make sure you insulate your walls, roof and floors. Materials such as sheep’s wool, cellulose (recycled newspaper), or wood fibre can be reused, recycled and are fully biodegradable, whilst providing high quality insulation. For the Passivhaus standard, triple glazing is required, however, good quality double-glazed glass will also provide you with high performance. Meanwhile, Mechanical Ventilation with Heat Recovery (MVHR) warms fresh air with the heat of the stale air it expels, Grand Designs explains. This allows you to balance airtightness with the need for fresh air. Insulation isn’t the only area where you can opt for green materials. There are plenty of less well-known, naturally derived building materials, offering you an alternative to chemical-heavy products. Hempcrete, which uses hemp hurds, is a lightweight mixture providing acoustic and thermal benefits. Lime plaster might well be associated with historic buildings, but it has natural properties, provides good air circulation, and reduces damp-causing condensation. Meanwhile, timbercrete (a mix of timber waste and concrete), Ferrock (made from recycled materials), and AshCrete are great concrete alternatives. 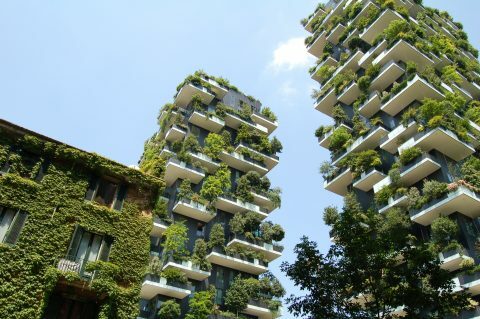 If you’d like to implement green strategies in your dream house, speak to CASA Studio today. Previous PostPrevious How much is the average self-build?